Get Your Commute Started (or Recharged)! The days are getting shorter, but the cool weather is ideal for a bike commute: you end up at your destination refreshed and recharged (not sweaty or tired). Also, you can make the most of the pleasant weather without shirking responsibility, because riding to that group meeting, coffee meet-up, or dentist appointment will get you there on time, and help you sneak in some extra activity. However, sometimes the first step is the most difficult. Below we present links to tips for bicycle commuting, some local resources, and a little bit of inspiration. If we’ve missed anything that you think would be valuable to share, please comment on the post or contact us. Also, if you want to start small (always a good option), you can use the 2 Mile Challenge tool for figuring out some good bike trip destinations all within 2 miles of the place your bike lives. Scroll down the right hand side of the page for info on techniques, bike gear, and myth-busting. GOOD Magazine provides some bare bones info and some style advice in an easy-read format. It will also help you feel somewhat like a superhero for your positive environmental activity and any bike advocacy you can push forward. If there was an award for a website continuing to look like the height of 1997 website style over a decade into the new millennium, this site would be a top contender. However, what it lacks in aesthetics, it makes up for with quality information on how to drive your bike, quick fixes to common unfortunate situations, and a lot of varied opinions on various types of cycling. On one hand, a full scale blog, on the other, some lovely and inspiring stories about commutes (including how-to), bicycles, and the people who ride their bikes on commutes. Local bike club for folks who do all kinds of riding. Resources, Advocacy, etc. This is our local guide for commuters, brought to you by the folks at Ride Solutions. Thanks to the Internet, if somebody does it, somebody blogs about it. This can be a double edged sword, but as far as riding a bike is concerned, I think it’s a good thing. If you are on the fence about riding a bike or just need a little extra push to ride a route that you are not comfortable with, take your bike to new destinations, or ride when the weather is a little iffy, you can find someone else who did tried it, survived it, and enjoyed the experience enough to blog about it. http://roanokecarfreewithkids.wordpress.com/ documents a 6 month experiment in car-free living in Roanoke (first post). http://misslady77cyclist.blogspot.com/ NoVA (Annandale) cycling commuter! 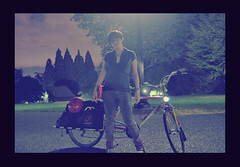 http://gobybikechallenge.wordpress.com Emily rode her bike for a year in the DC area … and then kept going (first post). http://talesfromthesharrows.blogspot.com/ another DC bike commuter blogger who likes to document most commutes. Also, we’re running out of time, but in September there are a few more campus bike tours left. 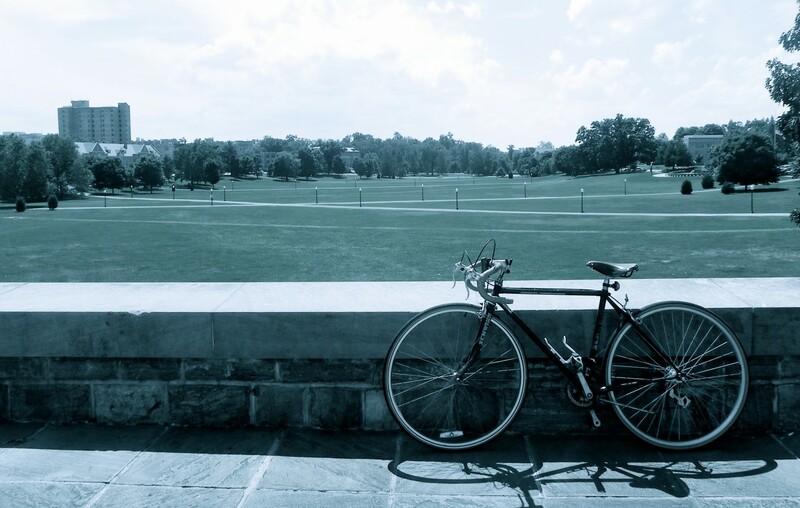 This is a 5 mile ride around campus lead by an experienced cyclist who goes over basics regarding the streets, paths, and sidewalks of campus and how to get to your destination safely. Please sign up at Rec Sports (Fitness/Wheels in Motion), and if you can’t make it, then contact us and let us know what kind of programs we need on campus and when we should be scheduling them.